For centuries people have used the Circle of Fifths to figure out what chords and keys go well with each other. All it really is, is a simple clocklike schema that has key names instead of numbers. Adjacent key names usually sound great together. Also, the minor and the major key at the same position typically work well together. 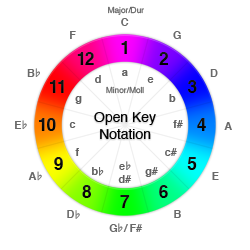 But because not everybody knows that G major follows C major in the circle, beaTunes, just like a clock, also displays an alternative, numeric notationthe Open Key Notation (OK-Notation). 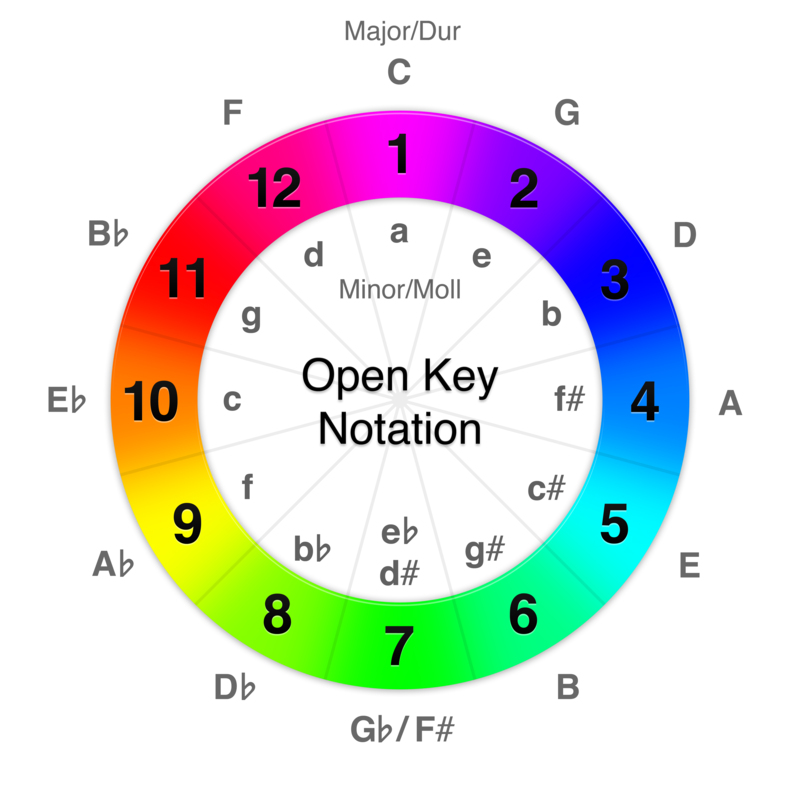 In the Open Key Notation, a key X typically harmonizes with itself and the keys X±1 (with 0=12 and 1=13). Additionally, every key can be in a mode, i.e. major or minor. This is denoted by a d for Dur (major) and an m for Moll (minor). As long as the number stays the same, you can switch between d and m.
To the extent possible under law, tagtraum industries incorporated has waived all copyright and related or neighboring rights to the name Open Key Notation, the notation itself, and the corresponding artwork shown above. This work is published from: United States.